ABC books, while at first glance not worthy of consideration by us "serious" upper grade teachers, provide nice models for extending topic knowledge. Sleeping Bear Press, for example, has several excellent ABC titles such as A Is for Anaconda: A Rainforest Alphabet and B Is for Battle Cry: A Civil War Alphabet . Using these picture books as models, your students could create similar ABC books for any topic you're presently studying. A graphic organizer, such as this ABC Brainstorm or this Alpha Blocks Chart (both found at Readingquest.org), makes the prewriting part of the lesson simple; students can then individually be assigned one letter of the content-area alphabet to illustrate for a classroom-created book. 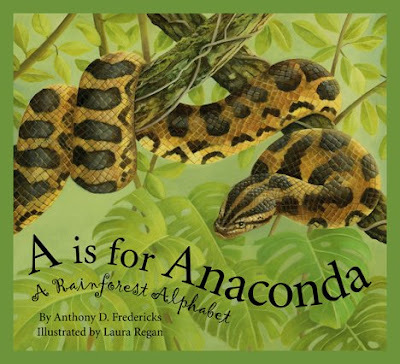 (By the way, Sleeping Bear press provides free teaching guides for most of their beautifully illustrated ABC picture books, such as A is for Anaconda: A Rainforest Alphabet). 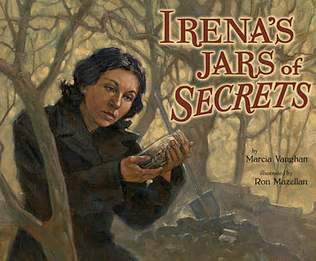 I'm new here @ teachwithpicturebooks.blogspot.com and want say hi to all the guys/gals of this board! I came across this post from a link on Pinterest. Dr. LeBeau's site looks like a fabulous resource, especially the breakdown of picture books by category that you mention here. I see that her site has since been taken down and discontinued. Do you happen to know of another resource that has a similar chart? I've seen sites that just have math picture books or whatnot, but it would be great to have a resource that has all the subjects in one place! Thanks for any help.